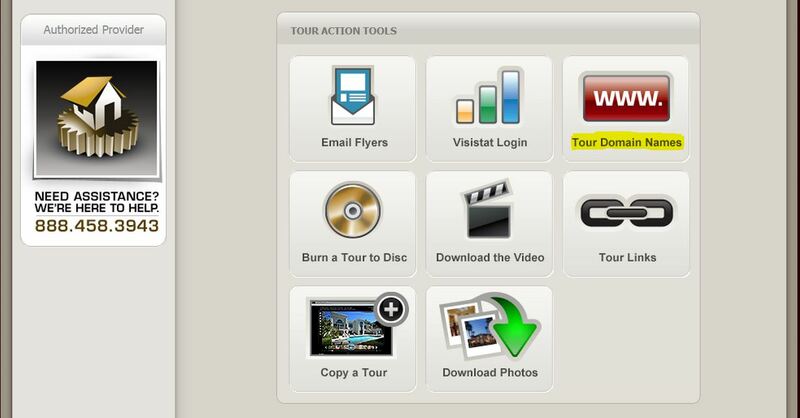 Scroll down to the section labeled “Property Website Action Tools” and click on the button labeled “Tour Domain Names”. 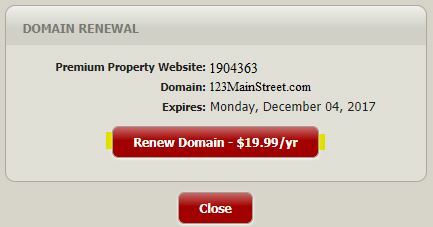 Click the red “Renew Domain – $19.95/yr” button. 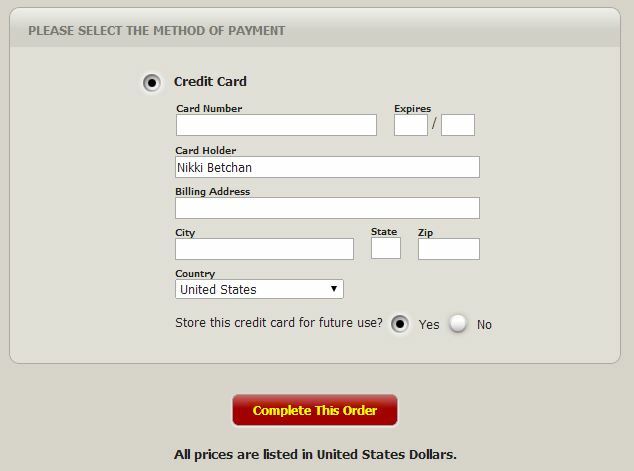 Enter your payment information and click the red “Complete This Order” button. You will be emailed a receipt for your purchase and your domain will be active for another year.